We are very close to fulfilling Rotary’s promise when we started our campaign in 1985 to rid the world of polio and we all need to work together to be able to cross the finishing line. This final stage is absolutely critical in the fight against polio and makes it ever more important that all Rotarians renew and strengthen their advocacy and fundraising efforts to eradicate this disease and fulfill our promise to the world. Rotary International in Great Britain and Ireland is delighted to introduce our latest campaign to support and encourage Rotarians to play a real part in the making of history; Purple4Polio. As The Rotary Foundation moves towards its centenary year and with the chance to eradicate polio now closer than ever before thanks to the efforts of Rotarians across the world, it is important we keep fighting and finish the job. This means continuing our support now and for at least three years after the last case of polio is reported, in order for the world to officially be declared polio free. 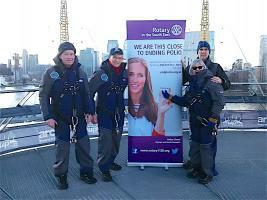 Purple4Polio will provide Rotarians with a host of ideas, resources and initiatives to help them with their activities to raise funds and awareness for polio eradication. The Purple4Polio crocus corm planting 2016 was a huge success with nearly 7 million purple corms being planted across Great Britain and Ireland resulting in a carpet of purple in communities during spring 2017. Clubs within Rotary South East planted 310,000 purple crocus corms. 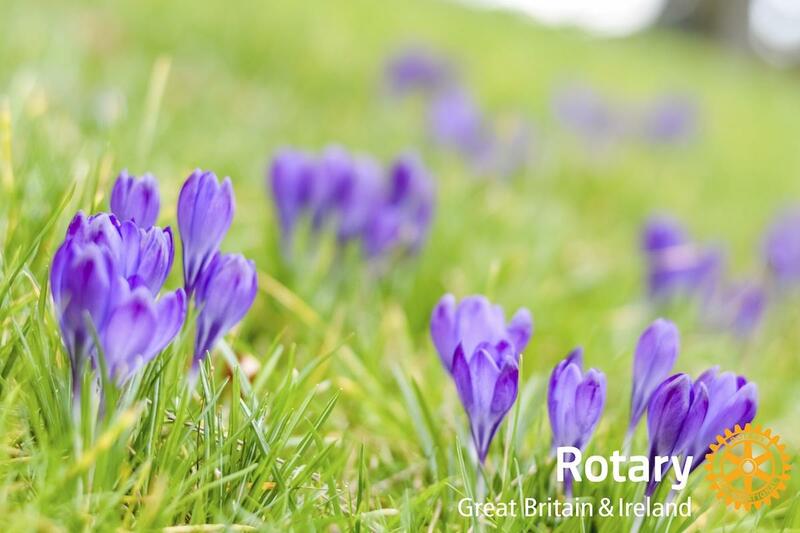 Many clubs within our own district have already ordered purple crocus corms for planting this Autumn so they will appear in on Rotary Day in February 2019. If you’ve not purchased a box of crocus corms but nonetheless would like to involve schools in your area in planting crocus corms, school packs are available for £70. Each pack contains all the material needed for a class of 30 to plant pots of 9 corms. Teachers can use the kits as valuable teaching and learning resources and we will be publicising our continuing campaign for the eradication of polio. Sign up for a school kit now. The purple crocus is a symbol of Rotary’s worldwide campaign to eradicate polio, with its colour representing the purple dye used to mark the finger of a child who has been immunised. 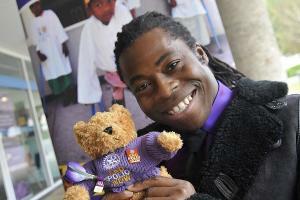 Other ideas on how you can get involved are available from the Purple4Polio Menu.